Do I need to provide Sexual Harassment Training to my employees? Sen. Hannah-Beth Jackson (D-Santa Barbara) a former prosecutor and practicing attorney, educator and small business owner authored SB 1300 regarding unlawful employment practices: discrimination and harassment. This bill has passed the Senate and is awaiting committee assignment in the Assembly. SB 1300 would require employers with 5 or more employees to provide workplace harassment training. Under current law, companies with 50 or more employees are required to provide such training. The bill would also expand the scope of the training to include so-called “bystander intervention training”, which offers guidance on how bystanders can recognize potentially problematic behaviors and to motivate bystanders to take appropriate actions. The text of the Senate Bill as amended June 27, 2018 highlights key issues being considered: 1) should employers with five or more employees provide sexual harassment prevention training to all employees (not just supervisory employees), and should the training content be expanded to include bystander intervention training; 2) should an employer have a legal duty to take reasonable steps to prevent inappropriate and unwelcome workplace conduct from rising to the level of severe and pervasive conduct; 3) should the court, in an action brought under the Fair Employment and Housing Act, deny a prevailing defendant reasonable attorney’s fees and court costs, unless the Court finds that the action was previous; 4) should an employer be prohibited from making an employee sign an agreement that releases claims against the employer or that prevents an employee from disclosing unlawful workplace acts, in exchange of a raise or bonus, or as a condition of employment or continued employment. This bill makes several changes to the anti-harassment provisions of the Fair Employment and Housing Act (FEHA). The intent of the author is to improve sexual harassment prevention training; encourage employers to take reasonable steps to curtail inappropriate workplace conduct before it reaches the actionable level of “severe or pervasive”; prohibit the signing of releases that an employee does not possess any claim or injury against the employer or other covered entity on the right to file and pursue a civil action or complaint with a state agency, law enforcement agency, court, or other governmental entity to shield sexual harassers, this include non-disparagement agreement to deny the employee the right to disclose information about unlawful acts in the workplace; and clarify actions brought under FEHA where it is inappropriate to allow the defendant to recover fees and costs unless the court finds that action frivolous. The May 25, 2018 comments by the Assembly Committee on Judiciary point to the need for this action due to entrenched workplace behaviors and attitudes that tolerate or dismiss sexual harassment. Beginning in 2017, propelled by the movements such as #MeToo, women have come forward and exposed the prevalence of sexual harassment in the workplace. This showcased how common sexual harassment is across industries and the harm it afflicts on victims’ careers, earning, and emotional well-being. SB 1300 is attempting to prohibit legal tactics that prevent victims from speaking out about abuse and seek justice; strengthen sexual harassment training; hold employers accountable to prevent harassment; and provide guidance to courts to ensure that the “severe and pervasive” legal standard is fairly applied to protect victims. Clarifying the Standard: The standard is clarified as “severe or pervasive,” not “severe and pervasive.” If conduct is very severe, it need not be pervasive or frequent. If conduct is sufficiently “pervasive” (meaning it happens frequently), then it need not be “severe.” Courts differ, however, as to whether a single incident is so severe that would constitute a hostile work environment. Legislative guidance is provided that a plaintiff need not show that their productivity has declined as a result of the harassment; that “stray remarks” such as isolated discriminatory remarks or comments unrelated to the decision-making process may be considered by a court. This bill clarifies the employer’s duty to “prevent” harassment from occurring and specifying that an employee may have a cause of action, even though, the harassing conduct does not yet meet the legal standard of “severe or pervasive,” if the employer knows about the conduct and fails to take any action. The bill will allow an employee to bring an action where the employer knew of harassing, inappropriate, and unwelcome conduct that was in danger of becoming “severe or pervasive” but did nothing to stop the conduct. Enhanced Training: The bill would strengthen sexual harassment prevention training in three ways. First, where existing law only requires employers to provide sexual harassment to supervisory employees, this bill would require training for all employees. Second, where existing law only requires employers with 50 or more employees to provide sexual harassment prevention training, this bill would require employers with five or more employees (those subject to FEHA generally) to provide training. Third, this bill would require companies to incorporate “bystander intervention training” as part of the mandatory sexual harassment prevention training. Training on bystander intervention is intended to address the well-documented phenomenon known as the bystander effect: the tendency for individuals to refrain from providing help to a victim when they are in the presence of other people. Bystander intervention training is aimed at empowering individuals to aid others and speak up about problematic behaviors. Release of Claims and Agreements: Harassers often settle cases with agreements that require the victim to remain quiet about the underlying facts of the allegations or that require the victim to waive any right to bring an action against the harasser in the future. These secrecy provisions keep the sexual harassment hidden from public view and allow the harasser to continue abusing others. In response to this problem, SB 1300 prohibits employers from requiring an employee, in exchange for a raise or bonus, or as condition of employment, to sign a “release of claim or right” by which the employee disavows any claim of injury and releases any right to pursue a civil action against the employer. 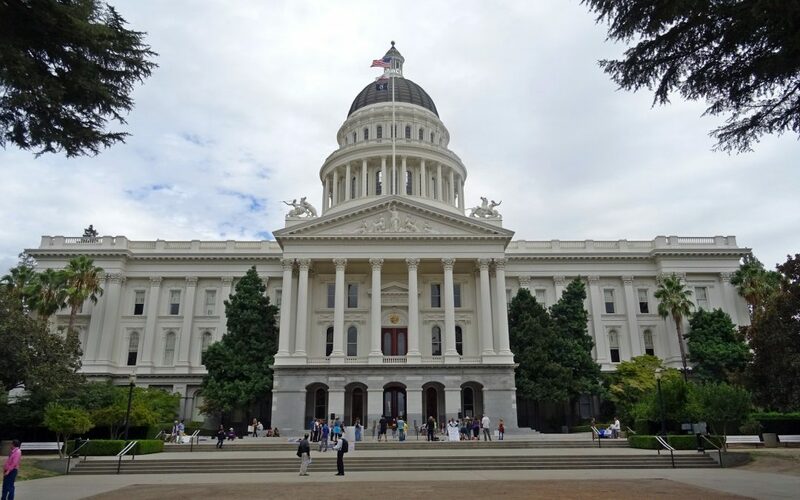 The bill also prohibits an employer from requiring an employee to sign a nondisparagement agreement that purports to deny the employee the right to disclose information about unlawful workplace activity. Opponents claim that these provisions will also prohibit severance packages that contain standard releases or nondisparagement agreements. Because a severance payment is awarded only after the employment relation has ended it, by definition, does not involve a condition of employment. How a court interprets this later is unclear. Limitation on Right to Fees and Costs: SB 1300 provides that a prevailing defendant in a FEHA action is only entitled to attorney’s fees and costs if a court finds that the plaintiff’s action was “frivolous, unreasonable, or totally without foundation when brought or the plaintiff continued to litigate after it clearly became so.” If a plaintiff rejects an offer and then fails to obtain a more favorable judgment, the employer would not be allowed to recover post-offer fees and costs unless the court finds that the action was frivolous or without merit. MRG specializes in /human-resources-services, procedures, trainings, and investigations.